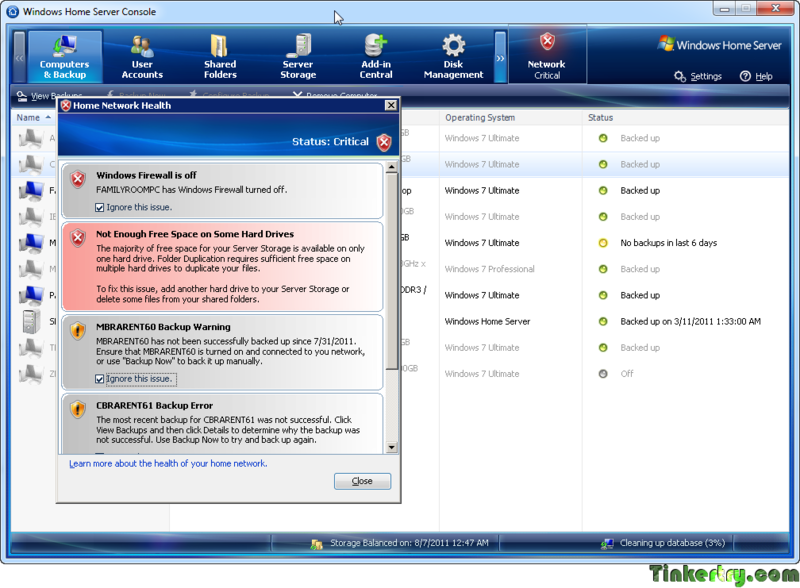 Why I need to replace my Windows Home Server with Windows Storage Server 2008 R2 Essentials soon! I have 4TB of data spread across 10 PCs, 7 of which are backed up every night (some over Hamachi VPN). De-duping of my data is critical, for example, identical large games or HD home videos, installed on several systems, without having to worry about picking just one system, since it doesn't take extra space to let those files stay on multiple machines. Those files are just to big to be on a network share or cloud of any kinds, especially since they're not always on a network. 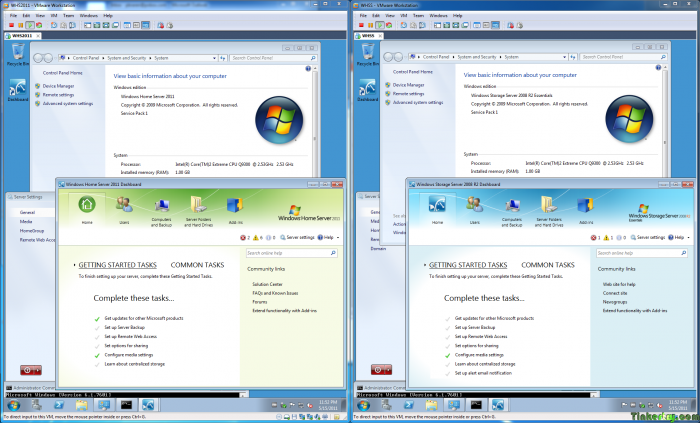 ...This technology uses Volume Shadow Services (VSS) technology on the client computer to take an image based backup of a running computer. Because the backup operates on data at the cluster level, single instancing can be performed to minimize the amount of data that travels over the network and that will ultimately be stored on the home server. This single instancing gives the server the ability to store only one instance of data, no matter if the data originated from another computer, another file, or even data within the same file. When initially deployed in 2008, Windows Home Server kept up just fine, reusing an older Pentium D refurbished system, purchased for just $350, and loaded up with 1TB and 1.5TB hard drives. Backups started at midnight, and finished by 5am, with most WiFi laptop backups taking just 15 minutes (laptop wakes up, backs up just changed clusters, then goes back to sleep). The 6TB of storage I have currently installed in this server not enough to handle both the 3.8TB of PC Backups and the duplication of my 1TB "Shared Folders". Given I also have more than 10 PCs to regularly backup overall, at least once a month, WSSR2E (Windows Storage Server 2008 R2 Essentials) seems to be the way to go. WHS 2011/WSSR2E are built upon the Windows 2008 R2 kernel, with better power and versatility, and the enhanced TCP/IP stack for potential improvements to gigabit throughput. WSSR2E's feature set is equivalent to WHS 2011 (Windows Home Server 2011), having tried both from MSDN. But it also adds 25 backed up systems and 25 users, rather than limits of 10 and 10. I realize there are licensing considerations, but I believe I've worked those out as well, so this argument is mostly made on technical grounds. I'm getting better backup speeds with 2008 R2 based tests, and excellent gigabit throughput throughout the home (even without jumbo frames), including the ~3TB repository of HD videos and pictures.